Giovanna Tinetti is Professor of Astrophysics at University College London and Director of the new UCL Centre for Space Exoplanet Data at Harwell. She is the Principal Investigator of ARIEL, the European Space Agency's next medium-class (M4) science mission. She is also co-founder and co-director of Blue Skies Space Ltd, which aims at creating new opportunities for science space satellites. Select appointments and achievements include Principal Investigator of the European Research Council-funded program Exo-Lights, and Institute of Physics Moseley medal 2011. 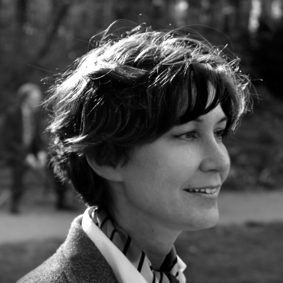 Awarded a PhD in Theoretical Physics from the University of Turin in Italy, Giovanna Tinetti has continued her academic career as NASA Astrobiology Institute fellow at Caltech/JPL and then as European Space Agency external fellow in Paris, before moving to UCL in 2007 as STFC Aurora and then Royal Society URF Fellow.